Pastor Roderick Houston is an anointed, spirit filled man of God, who accepted the call to the ministry in November of 1994. 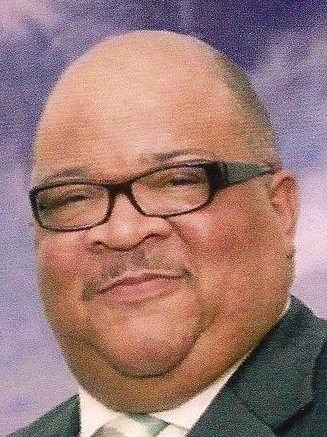 In 1995, after faithfully serving for over 25 years as Minister of Music and Chief Musician at the St Mark Church of God in Christ (COGIC), the Lord led him to become a charter member of the Agape Fellowship COGIC; where he served as Assistant Pastor and Minister of Music while serving in various ministry positions on the local, district and jurisdictional levels. After being ordained as an Elder in 2002, He received the appointment to serve as pastor of the Mt. Olive Tabernacle of Praise COGIC in April of 2004 and has grown the ministry with an emphasis on compassion through love, excellence in ministry, holy living, and passionate and reverent worship. Since coming to Mt. Olive, Pastor Houston has created various ministries to enhance and enrich the lives of all who would follow God. He is an alumnus of Cowley County Community College, Wichita State University and the Kansas Southwest Bible College. In May of 2012, the Lord spoke a ‘new season’ into Pastor Houston’s life and on November 6, 2012, he was elected to serve in the Kansas State House of Representatives to represent the citizens of the 89th District in Wichita, KS. Although new to the legislation, he is not new to serving people. He currently serves on various boards and committees within the Wichita community and State of Kansas such as; Executive Board of the Greater Wichita Ministerial League, Advisory Board of the Central Kansas Prison Ministries, Advisory Board of the Wichita Black Arts Festival, and various others. Pastor Houston is known across the country as an anointed evangelist, musician and worship leader and for many years has played for and with many of the top gospel artist in this country which include: Bishop Rance Allen, Pastor Shirley Ceasar, Dorinda Clark-Cole, Rev. Daryl Coley, Chrystal Rucker and Karen Clark-Sheard. Prior to accepting the call to pastor, he was dedicated to the ministry of music in Kansas Southwest COGIC Jurisdiction serving as the State Minister of Music and Minister of Music for the Urban and C.H. Mason Districts for many years. Pastor Houston is married to Lady Patricia Houston and they have three adult sons and six grandchildren.